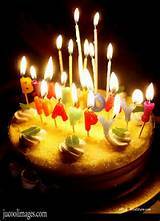 Wish you a happy B'day nihal. Have fun. Wish you a very happy BDay Nihal! Ah it's a half century! isn't it ? May all your dreams come true Nihal. Be who you are ( from what I seen of you) and thats high compliment from me. Many Happy Returns of the day. Have a Blast. Happy Birthday Nihal. All the very best ! P.s. How do you know if it is someones birthday? Sorry I am late today. Thank you all my dear friends. May all of ur dreamz come true..
godswen wrote: Best wishes Nihal. Thank you all who wished me. I did not come to the forum on that day. Many Happy Returns of the day Sri.